Journey through national rainforest parks, coastal walks where the jungle meets the ocean, visit gorgeous white sand beaches and waterfalls that plunge into the sea, visit secluded spots like Devoux Peak where you might spot the Tagimoucia flower, found only on Taveuni, or the Orange Dove and the Silktail, rare bird species only to be found on this island. Take in the stunning landscape on horseback, enjoy natural waterslides and waterfalls, visit the local villages or head down to the water sports centre to go kayaking or snorkelling, there’s something for everyone! The Tavoro Waterfalls is a beautiful 3 hour return hike with 3 trails of increasing difficulty taking you up into the hills above the village of Korovou past the awe inspiring waterfalls of the Tavoro River. Bouma Falls is one of the most beautiful spots in the world. Located in Tavoro National Park, it is a perfect destination for a half or full day trip. Bouma Falls actually consists of 3 waterfalls - the beauty of this waterfall is in the remoteness of the area and the perfect stillness - a wonderful place to meditate. The Waitabu Marine Park was established by 7 Fijian communities in 1998. 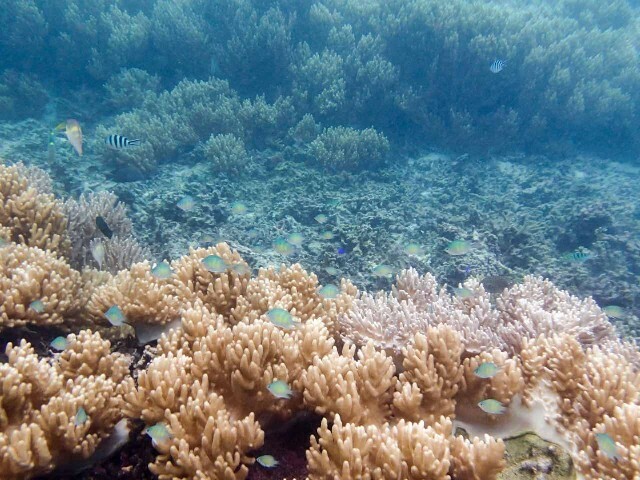 The communities agreed not to fish or anchor in the 1 km of selected fringing reef. The park has served to provide a first hand example of the power of conservation - generating larger fish catches and an increased biodiversity in the surrounding waters. For your safety these tours are dependent on weather an tidal conditions. Experience the wild and scenic coastline at Lavena. This walk is flat most of the way. 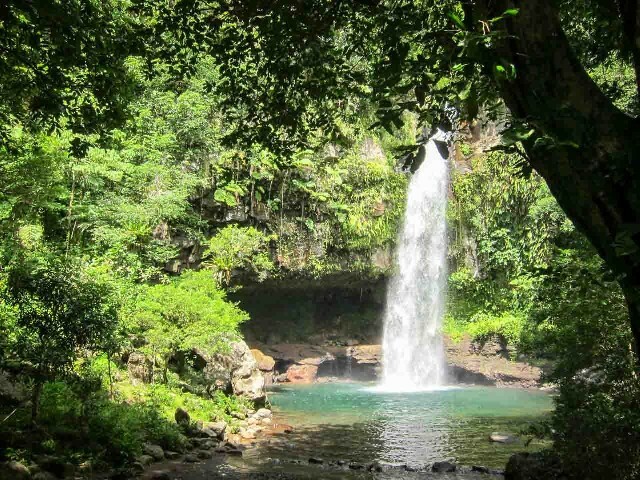 Enjoy the end of your walk by taking a refreshing swim at one of the most spectacular double waterfalls in Fiji. 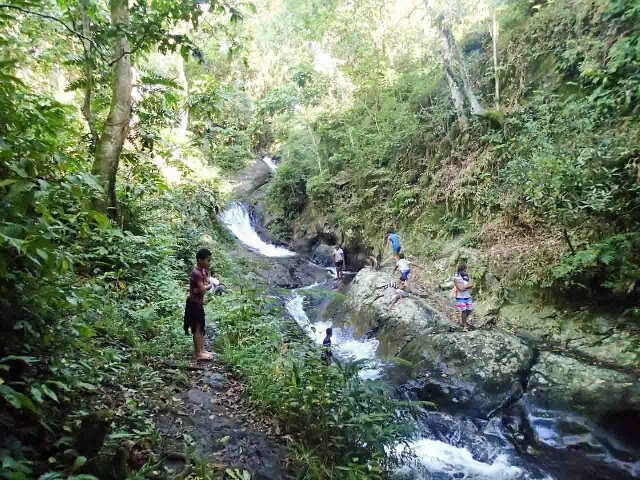 Just a 25 minute walk from the resort uphill to Waitavala brings you to a natural waterslide. Join the local kids after school in this picturesque setting. Dependent on weather and tidal conditions. Journey through 3 days in the matter of minutes! The International Date Line runs through Taveuni and is just a 10 minute walk to the right of Garden Island Resort. Taveuni is one of the very few land masses in the world that the meridian crosses and you are just a few minutes away - donÃ¢ÂÂt miss it! The Wairiki Mission is historical Catholic mission with beautiful stained glass windows a short walk from the resort. Visitors to Fiji are welcome to attend the Sunday services with wonderful singing and inspiring atmosphere. Services are at 7am, 9am and 11am. Please wear a sulu (Fijian Skirt, ask at the Front Desk) or appropriate church clothing. A small donation is appreciated. A beautiful village just a short 10 minute ride from the Resort. The grounds lovely large green leafed breadfruit trees, a local staple favourite food and delicious when ripe. This special guided trip allows you to visit a local homestead, where the villagers will welcome you in experiencing their lifestyle. 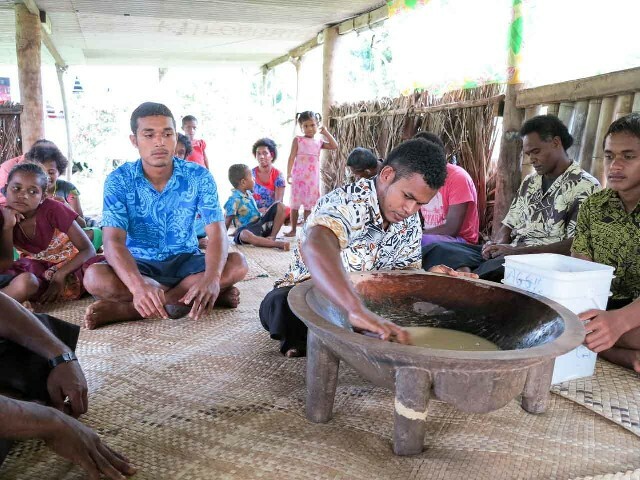 There will be demonstrations of Fijian crafts - basket making, mat-weaving, coconut husking and uses, fire-making, earth oven (lovo) demonstration, Preparation of the Traditional Drink - Yaqona - more widely known as kava, shown from the live yaqona plant through the many preparatory phases before it is ready to be mixed into the Ceremonial drink. Enjoy an afternoon tea session (cakes and tea) and a Fijian Meke (songs & dance). Visit the Vidawa Rainforest Hike for a day bush trekking and bird watching. Guides will take you on a tour of Taveuni as taught to them by their forefathers full of local history, stories, knowledge, and wild life. Listen carefully as they explain how they have lived off the land and shaped it to meet their needs, and how they have come to realize the need to conserve and protect their forests for future generations. 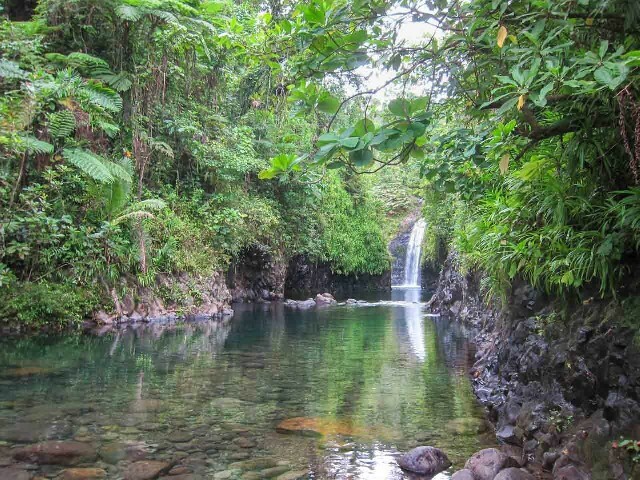 The full day trek will have you deep into the old forests of Taveuni, past ancient village sites, meandering volcanic streams, stunning views of the island and surrounding reef, and through some of the best bird watching areas in Taveuni. 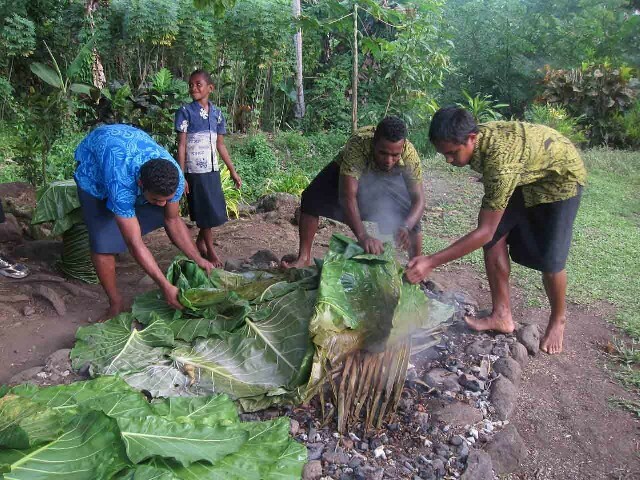 At the southern end of the island is located the village of Vuna which played an important role in the settlement of the first Europeans on Taveuni. The original plantations and homes of these Caucasian people were within the jurisdiction of Vuna and thus the land was either purchased or bartered from the Tui Vuna (the chief of that area). Some of this land is still owned by the descendants of the original settlers. Beyond Vuna at the very end of the coastal road is a village called Navakawau, which literally means ÃÂÃÂ¢ÃÂÃÂÃÂÃÂend of the roadÃÂÃÂ¢ÃÂÃÂÃÂÃÂ! It is a beautiful - though bouncy - drive along rugged coastline down to Navakawau. One of the highlights is a tidal 'blow hole' which is an impressive sight if the tide is right. A famous geographical landmark on the island is Lake Tagimoucia which is located in an old crater 823m high in the mountains. The lake, which is filled with floating masses of vegetation, is located just below Des Voeux Peak which is the second highest on Taveuni at 1195m (3920ft). The highest spot on the island is Mt Uluigalau which is 1241m (4072ft) high. (These are among the highest mountains in Fiji). The hike to the lake is very strenuous and should only be attempted by the serious hiker. It takes about 3-4 hours each way; the track starts at Naqara near Somosomo. The highlands are also home to Fiji's most famous flower, the tagimoucia (tahng-ee-mow-thia), a red white and purple flowered creeper which is linked to a local, romantic legend about love lost and love regained. It only grows above 2000ft, and usually blooms from end of September to end of December. Any attempt to transplant the flower at a lower altitude has failed. It has been claimed that the island of Taveuni is host to nearly all the bird species to be found in Fiji. In particular, Des Voeux Peak at dawn is the place to be if you are a keen birdwatcher. In particular, you may catch sight of the orange dove and the silktail, to be found nowhere else in the world. Our local Fijian guides are available to introduce both the professional and the amateur to Taveuni's unique and interesting bird life. 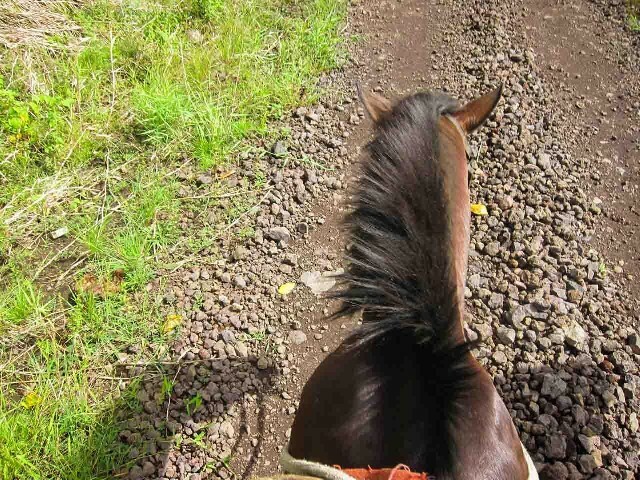 Ride through plantations of coconut, yagona and dalo, capture spectacular views of surrounding countryside including Vuna Lagoon to the South and Somosomo Straits to the East, see the famous Twin Crater (elevation 1,000 feet) on horseback with experienced guides down by the Southern tip of Taveuni. Suitable for beginners to experienced riders, approx 2hr ride. Entire trip will take approximately 5 hours.